Welcome to Surrogacy Center India, our clinic, where life begins. 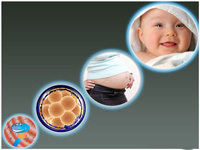 We are the leading provider of IVF and surrogacy services. Our main aim is to create families. Our dedicated team of doctors, our clinic medical professionals and support staff are honored in assisting couples from all over India and abroad. It really does not matter how hard you have tried to conceive and the ordeal that you have gone through. Our team is here to give you all your support and guidance that you need to build a family every step of the way. Let us make your dream come true. When a couple is unable to conceive a child, when most options have failed couples turn to surrogacy, there are two kind of surrogacy known us traditional and gestational—both have different legal and medical implications for the intended couples. A traditional surrogate is when a genetic mother of a child carries the pregnancy for someone else. The traditional surrogate mother “donates” both her eggs and her uterus to create a child for another couple (the intended parents). The traditional surrogate mother is artificially inseminated using the sperm of the intended father. In contrast, the gestational surrogate mother, provides only the use of her uterus to the intended parents, which is through the method of in-vitro fertilization to produce the embryo from the egg and sperm of the intended parents. This gestational surrogate has no link genetically or personally, as the egg used is not from the actual woman to create the embryo. After you have decided to talk with your fertility specialist about surrogacy and discussed your profile, you can proceed with the procedures. However fertility clinics are not allowed to find surrogate mother’s for you. There is a procedure that needs to be followed legally. It is recommended that you seek your own legal advice with regards to opting for surrogacy and making your own decisions. The arrangements for surrogacy are unenforceable. It is also necessary that you seek counselling before you start surrogacy process. If you do have a medical condition, which makes it impossible or even dangerous to get pregnant. Then surrogacy may be appropriate for you. If there is a registered donor at a licensed clinic is used , then the donor will automatically be screened.